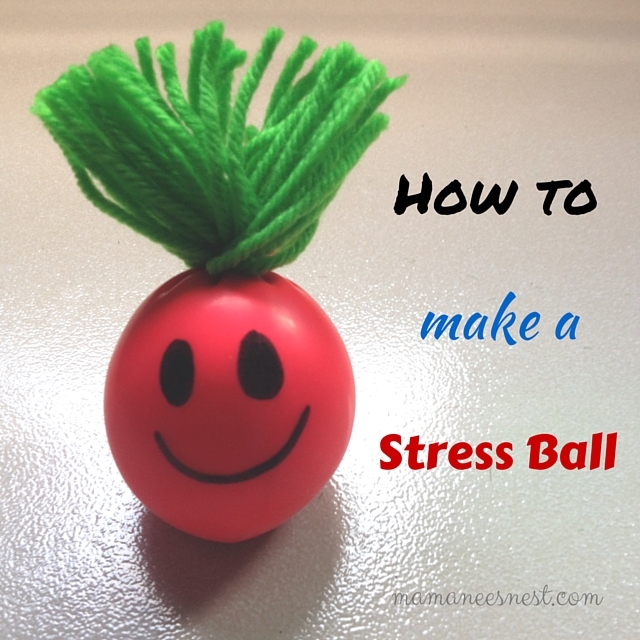 I have been scouting Pinterest for great sensory play toys and I was able to stumble across a cute version of a stress ball which would great for my little bossing. Without any further adieu, let me show how I used Pinterest to create a stress ball! By using a small funnel you would want to fill up the balloon with the flour as much as you can squeeze in. Tie the balloon to seal in the flour and draw with your Sharpie a design of your choice, I chose a smiley face. Using the yarn and to make your stress ball a little more fun, loop the yarn around four of your fingers until your desired thickness then tie the middle with another piece of yarn, then snip the sides. Tie your yarn to the knotted end of the balloon and you have a fuzzy little stress ball! The bossing loved it and mostly used it to toss around hahahaha, but he would also squeeze it at times which allowed him to focus. Hope you learned something! Happy DIY! Hi, sis. Thanks for sharing this how-to. The finished product looked intimidating, but it's easy lang pala. I appreciate it, naalala ko kasi anak ko. Hi Sis, welcome! Uu easy lang talaga - no sweat kumbaga hehe. Thanks for dropping by.